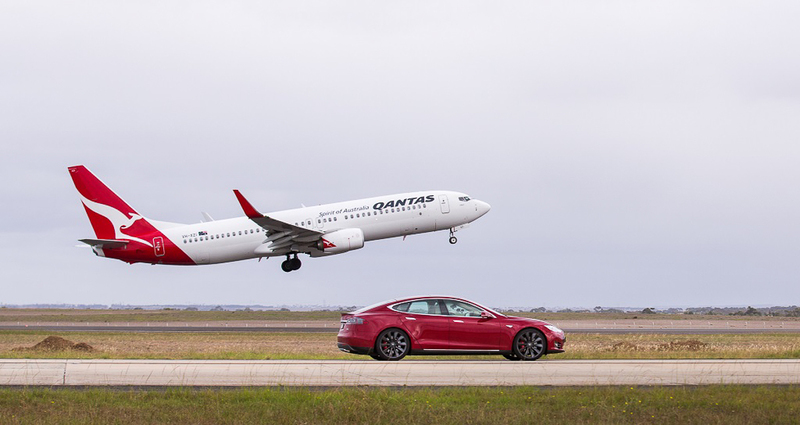 A Qantas Boeing 737-800 took to the runway on Saturday April 2nd, 2016 to match speed with a Tesla Model S P90D electric car on an adjacent strip. 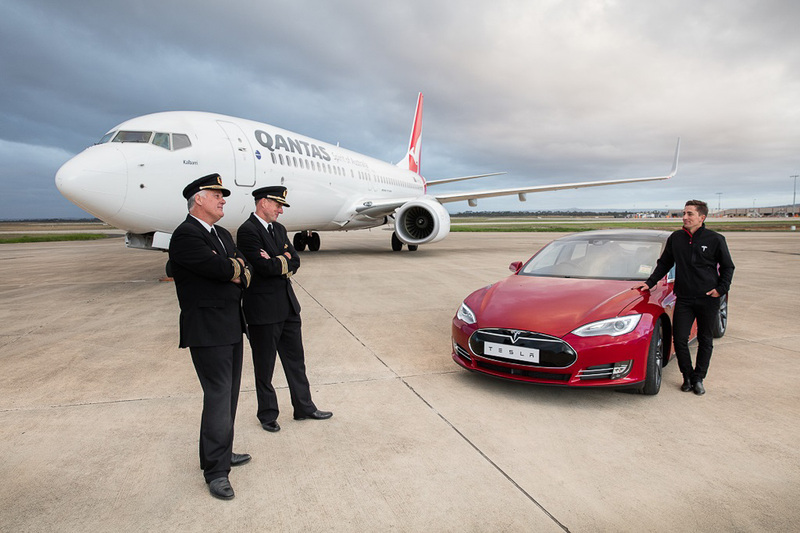 The race was held to celebrate innovation and sustainability in a collaboration between Qantas and Tesla Motors at Avalon Airport south west of Melbourne. Who do you think came out on top?